Have you ever considered “sharing” your home to earn extra income? The concept of home sharing is becoming more and more popular as travelers look for unique, affordable and more personal travel experiences. According to Statista, by the year 2021, an estimated 86.5 million U.S. adults will be using services such as Airbnb for their lodging needs while traveling. While home sharing can be a great way to earn extra income, it also may expose you to costly risks. Our sponsor, Erie Insurance, joined us at our #30Seconds Twitter chat and discussed home sharing and what you need to know about insurance to help you rent your home like a pro! Erie Insurance has provided protection and service to its customers at a great price since 1925. If you're part of the home sharing community and are planning to rent your home for extra income (and especially if you already are! ), you need to have proper insurance coverage to make sure you and your property are protected. So mark your calendars! You won't want to miss the opportunity to learn from one of the best insurance companies in the business. Let Erie provide you with the best sERvIcE possible! Q: So we’re all on the same page, what exactly do we mean when we talk about home sharing? Homesharing is part of what’s become known as the “sharing economy” where people “share” something they own with other people who want to use it temporarily. Most people are familiar with car sharing, like Uber and Lyft. In the case of home sharing, people rent out their entire primary home, or part of their home like an extra bedroom, for a short stay, such as to people who are in town for a special event or vacation. Oftentimes they will use a home-sharing site to let other people know their house is available. Some examples of home-sharing sites include, Airbnb, FlipKey, HomeAway, OneFineStay and Vrbo. Q. How prevalent is home sharing? Is this something that a lot of people are doing? According to Pew Research in 2016, roughly one in 10 Americans have used a home-sharing site to stay in someone’s home. Pew also says that in 2016, 34 percent of Americans have heard of home-sharing sites but haven’t used them, and around half (53 percent) have never heard of them. Airbnb has said that in the 10 years that it has been in existence, more than 300 million people have used the site. Q: Now let’s talk about insurance. You said this is something people need to plan for, before deciding to rent out their home? Yes. While some of these “peer-to-peer” home-sharing sites offer liability insurance coverage to cover hosts and landlords, other sites may require the homeowner to provide their own coverage. A lot of people may think that their homeowners insurance policy would cover anything that happens while someone’s renting out their house or a room in their house, but that’s often not the case. Traditional homeowners insurance assumes your home is for your own personal use, not that you are using it as a business. So, it’s unlikely the typical homeowners insurance policy would cover things that could happen to a renter or their personal items they have at your house; you would need different coverage for risks associated with that. Q. What kind of coverage might people need if they want to rent out their home or a room in their home? The first thing we recommend is that people talk with their insurance agent about how they’re using their home and the potential risks. As I mentioned, the risks are different if your home is for your own personal use versus if you are actually renting it out. There are more people coming in and out and different things that can happen. We offer a home-sharing endorsement that can be added to a customer’s existing primary ErieSecure Home, Condo or Tenant. It provides additional liability protection if something happens to a renter or their property while staying in your home. Q. Can you give some examples of what home-sharing insurance could cover? What if a renter’s personal property is damaged while staying at your home, the home-sharing insurance may cover the cost to repair or replace property damaged. Their personal property was damaged in your house, so you need to make sure you have home-sharing insurance to pay to repair or replace it. Those are just two examples of what our home-sharing insurance could cover. Q. Seems like this kind of coverage might be expensive. Can you give a ballpark idea of what this might cost? The coverage would be provided up to the liability limit on the homeowners policy, which typically ranges from $100,000 to $1 million. And our average cost to add the homeowners insurance is just $40 to $60 a year, which when you do the math is only about $3 to $5 a month. But again, everyone’s situation is different. We recommend anyone considering renting out their home or a part of their home through one of these peer-to-peer networks talk with their agent to make sure they have exactly the coverage they need. Q. Why did Erie Insurance start offering this new kind of homeowners insurance coverage? Well, the world around us is always changing, creating new and different risks, and the sharing economy is just one example. We’re always looking at what’s happening and adapting to the changing needs of our customers. We did something similar with ride-sharing insurance. We saw a situation where people were using their cars for a business purpose, so we created a new kind of insurance coverage to protect them. Now we’ve done the same thing with our home-sharing insurance. Q. Can you share any other tips for people considering jumping into the world of home sharing and renting out their home or part of it? The experts will tell you it’s a good idea to list your house through a vacation rental site. Posting an ad is usually free and eliminates some of the legwork involved. Some sites will verify users’ identities, provide guest and host reviews and let you set your own rental price. You also want to think about taxes. While that’s not my area of expertise, consult your tax advisor for any tax implications that may result from renting out your home. Always budget for extra costs. Most rental sites charge either an annual fee or a percentage of each booking. Also consider the costs of supplies like linens, as well as hiring a cleaning service to tidy up in between guests. Q: Where are the top home-sharing cities and why? 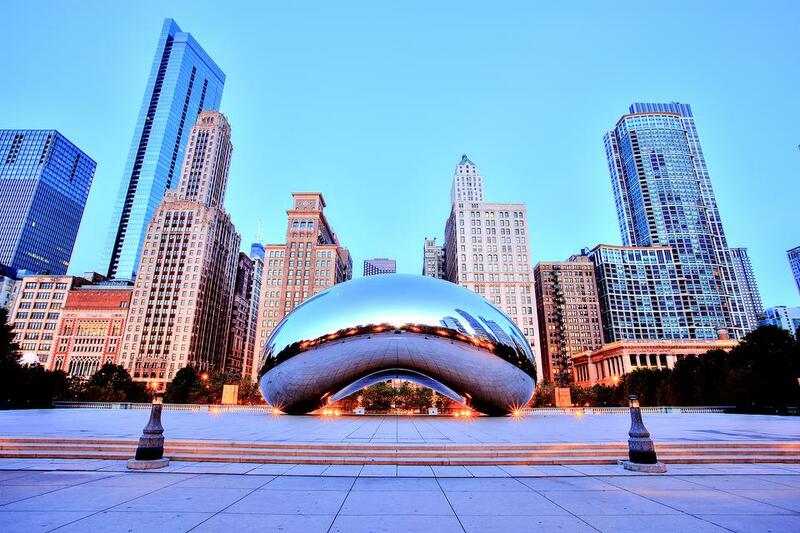 According to Airbnb’s Travel Trends Report, Midwestern cities, such as Chicago, are seeing some of the strongest growth. It’s being driven by booming downtowns. 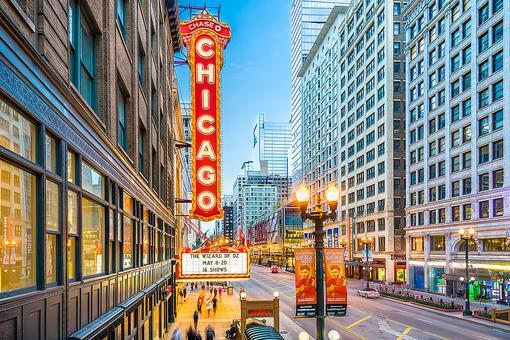 It’s no wonder Midwestern cities are some of the top areas for home sharing. Just think about Chicago – from the Marathon to Lollapalooza, these events drawn in hundreds of thousands of visitors each year. Airbnb says Indianapolis and Columbus are seeing the biggest uptick in home sharing visitors in the Midwest, driven by booming downtowns. Be sure to follow @Erie_Insurance, like them on Facebook and visit ErieInsurance.com! Insurance is key for all kinds of risks ~ especially when you open your home to strangers. Can't wait for this week's chat! Looking forward to some helpful tips from Erie Insurance ! Great chat tonight! I learned so much, Johnson Fitness & Wellness ! Shared this information with a few of my friends and family. It's quite obvious that not many people think about insurance when considering home sharing. After the chat I called and talked to my insurance agent about this. Thanks for the information 30Seconds. This is fascinating. So much I wouldn’t have thought of. I’m interested in doing this so I appreciate the tips and the chat was fun, thanks! What great information here! I didn't realize all that goes into it and the risks, etc. The insurance sounds like a no-brainer. Home Sharing & Renting: Erie Insurance Helps You Rent Your Home Like a Pro!